Currently have relocated to the Bay Area and now only occasionally frequent the below markets. Subscribe to find out where I will be within California vending! We try to be here the first or second weekend each month. Located at Runway Mall on Runway Blvd & Town Center Drive and adjacent to Whole Foods, Cinemark Theater and much more. The weekly morning market attracts all ages for food, artisans and entertainment! Ample and convenient parking in the Runway Mall parking garage. WITH FREE ICE CREAM FOR ALL AS WE CELEBRATE OUR BIRTHDAY! What happens when you shop at UNIQUE LA? You'll be inspired and energized by the creative community of over 300 participants - and your dollars go directly back into small businesses and the local economy! This Spring don't forget MOM - the UNIQUE LA Spring Market is Mother's Day weekend so bring the whole family for a day of fun as you let her pick out a gift! Or, as they say, #treatyoself! In addition to great shopping, we've got loads of fun perks & amenities so you can stay all day (and kids 12 and under are always free)! Enjoy a delicious meal, grab a free drink or cocktail, explore our interactive, immersive art installations, get creative and make a fun DIY project, get your portrait taken and more. ADMISSION COMES WITH AN ANNIVERSARY-EDITION COTTON TOTE & ZINE! We are usually here every other month. 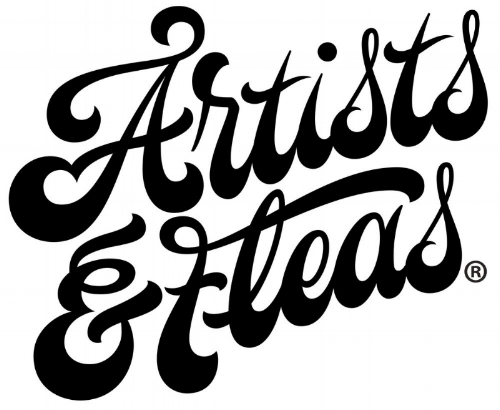 Artists & Fleas LA is open in the vibrant, artistic community of Venice at the Westminster Avenue Elementary School at Abbot Kinney and the corner of Westminster Avenue. Join us for a fabulous Artists & Fleas-style line-up of art, design and vintage merchants.